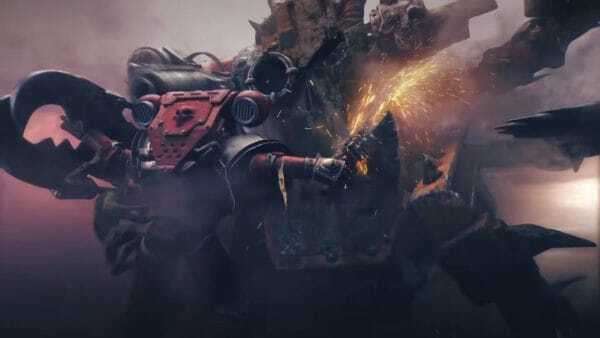 Dawn of War III had an open beta this past weekend, which gave me a chance to take a look at the new game. After playing the beta, I am cautiously excited about it. The beta allowed players to take the tutorial and then play some multiplayer games. I was initially disappointed that I could not play battles against the AI. However, that is unlocked in the full game. Since an open beta is meant to give feedback on the game, I’m just that with some things I liked and concerns about the game. One of the first things I did after loading the game, is play around in the chapter creator for the Space Marines. Playing tabletop 40K is a blast. I also enjoyed painting miniatures as well. It’s pretty interesting that the developers gave players the option to create a Space Marine chapter. While also picking the color scheme of the created chapter too. This might be a small thing, but it’s nice seeing it in the game. The tutorials are fairly straightforward and simplistic. It does a good job of giving you the basics of the game. Getting players familiar with how the game basics worked. 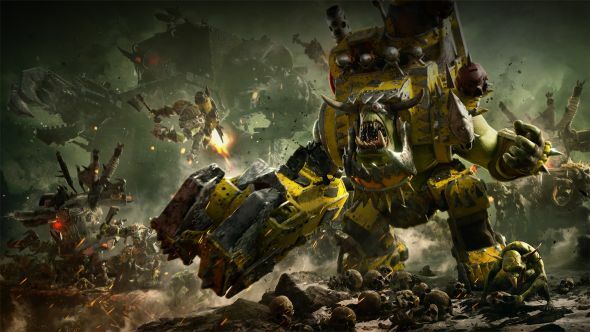 Initially, Dawn of War III felt like it took a lot from Starcraft when it comes to building bases and troops. However, the more in-depth I got, the further away it became from Starcraft. The combat involves both ranged and melee troops. Each type of troop feels different from the other. No matter how large the battles got, I never felt overwhelmed trying to keep track of the units. It also makes it very easy to know where units are located as well. This has been a problem for me with Real-Time Strategy games in the past. I’m glad this isn’t a problem in Dawn of War III. My first major concern involves using the Legendary units. In Warcraft 3, you could also use legendary units. Their overwhelming strength and unfair advantage, made me quickly dislike the game. It made Warcraft 3 feel like the focus was built around getting the legendary units, instead of fighting for control of the map. It was pretty annoying to see a legendary unit defeat a much larger army. Obviously, I have not played enough Dawn of War 3 to know if it follows a similar pattern, but it is concerning. Secondly, I was a bit surprised we weren’t allowed to play anything from the single player at all. I do really hope the story in the game is good. To be fair, it is difficult sometimes to do single player stuff in an open beta like this. However, I tend to be slightly pessimistic when something important is locked away, beta or not. It is natural to worry about how good it will be. It honestly makes it difficult to judge the multiplayer, because the singleplayer allows you to take your time and learn the all of the major aspects of the game. Then, once completed, it challenges you to test yourself against human players. So, I never felt like I could get a good grasp on what I’m doing, because everyone is rushing to do things so fast. Perhaps having allowed people to play against bots, may have helped this a bit. Overall, I am looking forward to being able to play the full game. What I did see, makes me think that it can be another positive step in the series. Although, I may spend quite a bit of time creating Space Marine chapters. Not to mention, experimenting with the paint schemes. 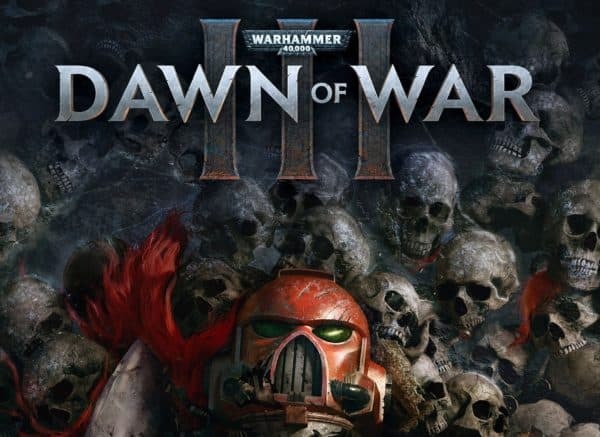 Hopefully, the campaign and the storyline give Dawn of War III a complete package, aside from just focusing on multiplayer. I had fun with what I played and it looks like I’ll be trying out the multiplayer more because of it as well. The beta certainly left me much more interested in the game, than I was before playing it, which is quite a positive thing.